Edmonton, Alberta — On Friday, April 13th and Saturday, April 14th, #CannabisCon will be hosting its National Educational Conference & Business Opportunity Forum at the Shaw Convention Centre in Edmonton, Alberta. #CannabisCon presents Cannabis Canada Forums, an educational and informative two-day event developed to target the pressing needs of Canadians as the cannabis legalization date quickly approaches. Friday’s program has been designated to aid those within or wanting to break into Alberta’s next great economic opportunity through business and investment ventures. Seminars will focus on: Cannabis 101, Opportunities in the Retail Sector, B2B opportunities, Cannabis in the Workplace, Legislative Landscape and Investing in Cannabis. Additionally, #CannabisCon has partnered with the Edmonton Chamber of Commerce to present a Chamber Luncheon, featuring a panel showcasing some of industry’s top executives as they discuss the changing cannabis landscape. At the recent Calgary event this panel had a market valuation of over 6 Billion dollars. Saturday’s #CannabisCon is a public consumer day, the free sessions will answer questions relating to: Legislative Updates, Public Safety and Harm Reduction, Innovation in the Canadian Cannabis Space, Cannabis and HR in the Workplace. In addition to an incredible line-up of highly-respected industry leaders as speakers and exhibitors, #CannabisCon will hold a job fair with participating vendors on Saturday afternoon. “We are focused on providing people with cannabis education and opportunities that can affect their lives in meaningful ways. We want to have a robust conversation about how impending legalization will impact all of us,” explains David Evans, #CannabisCon & Cannabis Canada Forums Special Events Manager. In addition, for the first time ever, our conferences have brought three levels of government together to discuss Canada’s impending cannabis legalization as it pertains to each level of Government. With education comes informed and safe decision making. Our seminars have been developed to meet the questions and needs of our fellow Canadians. Our Friday and Saturday conference days are 18+ events open to the general public. We look forward to furthering our cannabis conversation with the thousands expected to attend. 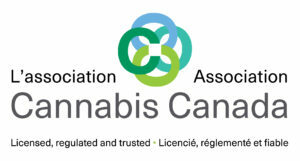 The Cannabis Canada Association, representing the largest majority of licensed producers in Canada, along with Silver Shows, with over thirty years of event management, have created #CannabisCon and Cannabis Canada Forums to address the pressing need for public education in the changing Canadian cannabis landscape.